Left: A detail of El Greco’s Laocoon, on view at the National Gallery of Art. 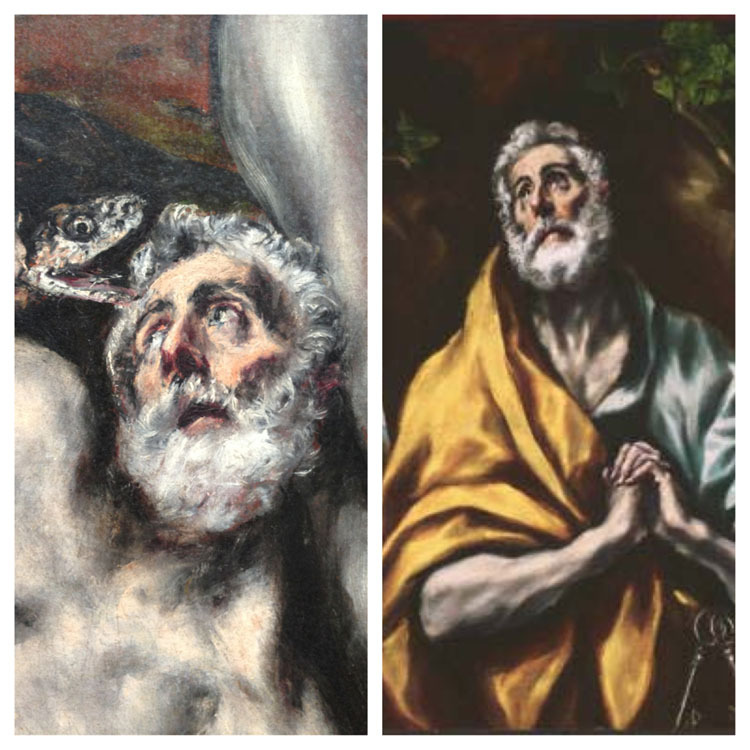 Right: El Greco’s The Repentant St. Peter, currently on view at the Phillips. Phillips educators saw a familiar face during a field trip to the National Gallery of Art on Monday. Check out the uncanny resemblance between the title figure in the Gallery’s Laocoön (c. 1610/1614) and the Phillips’s The Repentant St. Peter (between 1600 and 1614), both by El Greco. It was a very timely happenstance considering the Intersections project A Conjunction of Verb opening tomorrow at the Phillips, in which Baltimore-based artist Bernhard Hildebrandt reinterprets El Greco’s work in photography and video. 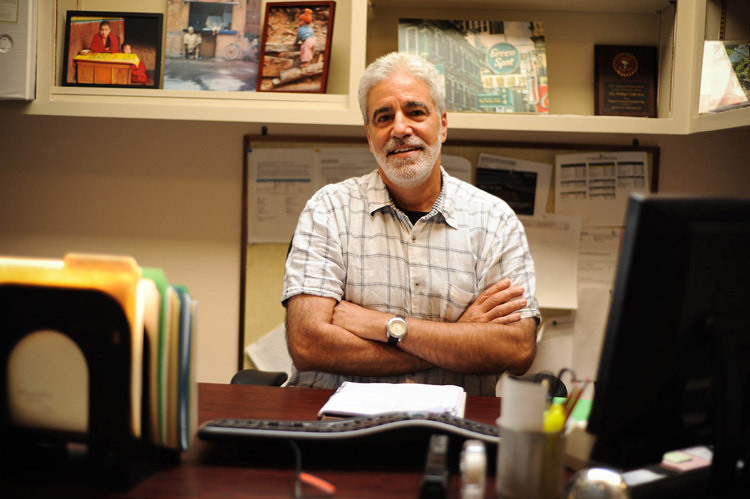 Are there more St. Peter lookalikes out there? What’s the big deal about Beethoven? Last Sunday, The Phillips Camerata began its five-concert exploration of Beethoven’s piano concertos, in collaboration with resident musicians from the National Gallery of Art. In the space of a few weeks, all five concertos will be performed at our two institutions in a project that explores the depth and scale of these great works in arrangements for chamber ensemble. Camerata pianist Irina Nuzova began the cycle on Sunday with Piano Concerto No. 1, followed by Piano Concerto No. 2 performed at the National Gallery yesterday afternoon with soloist Edvinas Minkstimas. 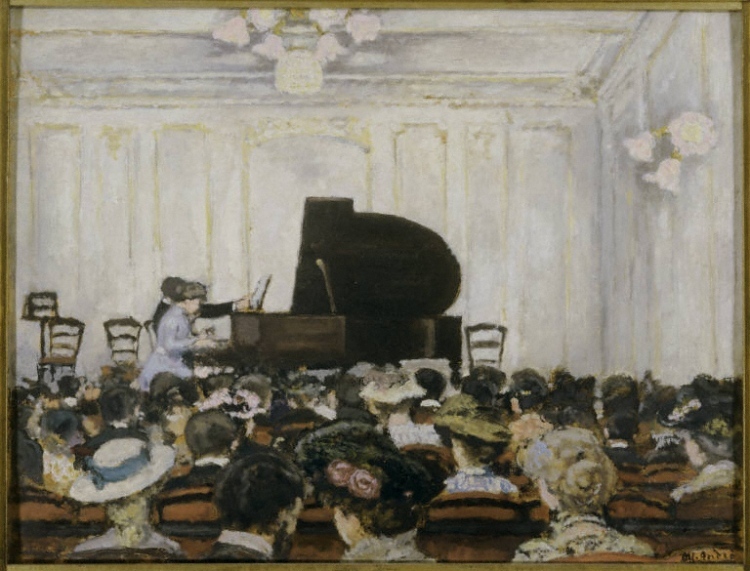 Concertos 3-5 will be performed respectively by pianists Danielle Deswert Hahn (April 7 at 6:30 pm at the National Gallery), Thomas Pandolfi (April 14 at 4 pm at The Phillips Collection), and Mykola Suk (April 21 at 6:30 pm at the National Gallery). What does Beethoven offer us in these works? Almost always a journey of some kind. If we trace an arc from the first to the last concerto, we can see the enormity of Beethoven’s musical achievement. This can also be found in his 32 piano sonatas, 16 string quartets, and in the symphonies, but never is this voyage so uniquely distilled as it is in the piano concertos. By the time he had completed the first concerto, aged 28, Beethoven had established himself in Vienna as the preeminent keyboard virtuoso of his age. He had absorbed the influence of Mozart and Haydn, and this is evident in his first two concertos. Yet having done so in his 20s, he wanted to show himself as more than the inheritor of their tradition, rather as a revolutionary, dragging the coattails of courtly Viennese society into the dawn of a new musical age. By the third concerto, composed in 1800, it is clear that he was trying something totally new and never before heard. It was a timely shakeup of the status quo. Until the arrival of Beethoven, composers were largely expected to fulfill obligations to patrons and aristocracy, and music was the gilded flower of social elites. However by the late 18th century the system began to break down–music was being written for a broader audience and published and sold more widely. It was becoming universal. Beethoven’s passionate and explosive new music grasped the spirit of his epoch; truly a man of his time, Beethoven’s compositions elevated music to new levels of expression. Beethoven the man was a complex and contradictory character, however. He was often gloomy, dark, and intolerable. He detested crowds, led a miserable love life, and through his growing deafness suffered the greatest affliction imaginable for a musician. Yet it was precisely through this adversity that he channeled his art, communicating incredible hope, positivity, and warmth. Our fascination with his life is because his music takes us on an intimate journey through it; we share in his joys, loves, and pains in equal measure.